January found several of our Quail Springs team in East Africa teaching natural building and permaculture courses. Collaborating for several years with the Permaculture Research Institute of Kenya (PRI-Kenya), Warren Brush has been teaching Permaculture Design Courses (PDC), a training for permaculture teachers, and most recently, a Permaculture Design Consultancy course. And for the first time, our team delved into teaching a natural building workshop at our friend Joseph Lentunyoi’s Laikipia Permaculture Center a few hours’ drive north of Nairobi. In the summer of 2013, Joseph was a co-teacher at Quail Springs for our PDC for International Development. 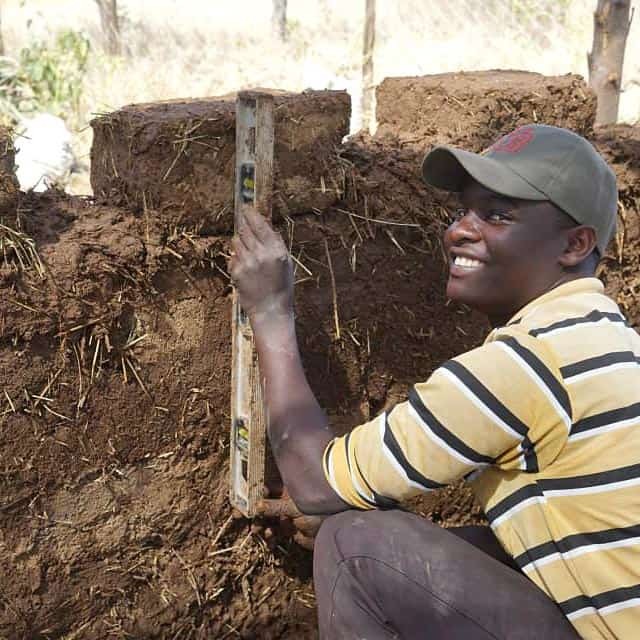 After staying in a little cob guesthouse during his visit, he knew that he wanted to bring this style of earthen building back to his community in Kenya. When the idea was first conceived, I was quite intimidated by the prospect of ‘teaching’ earthen building in a place with such a rich and deep history of building with earth. 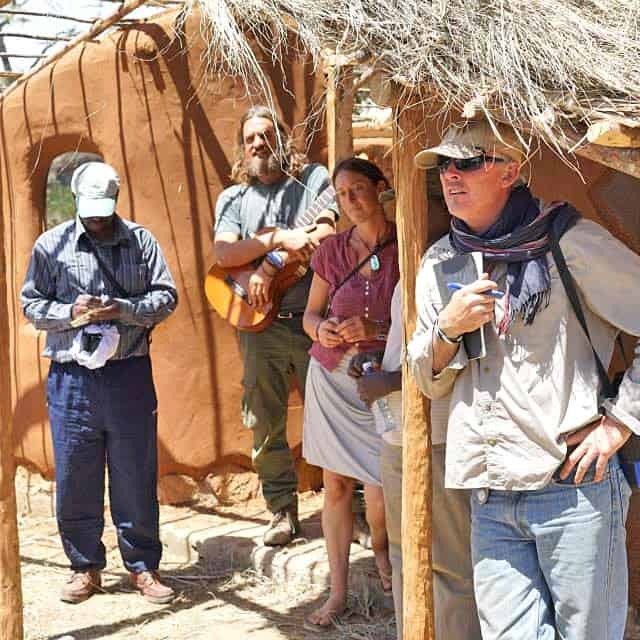 Yet trusting Joseph’s perspective and honored by his invitation, I, along with two great assistants, Zeya Schindler and Andrew Clinard, found ourselves in Kenya teaching earthen building to a mix of local East Africans and others from all over the world. I think that part of the workshop’s success was our aim to alter the local techniques already being practiced as little as possible. We were not introducing any substantially different technique, but rather honoring the amazing, beautiful, and rich tradition of earthen building that surrounded us. Regardless of how much I love the traditional wattle-and-daub style of building indigenous to that part of Kenya, most of the people we met would say structures built this way are not fully meeting the needs and desires of the people living in them. That is, these homes often leak, are not very long lasting, and are being replaced by cement block buildings. However, the list is long as to why cement feels like a poor choice of building material – from its grave environmental effects, the high cost of the building, health issues related to its production and use, to the lack of temperature regulation and comfort the final product provides. 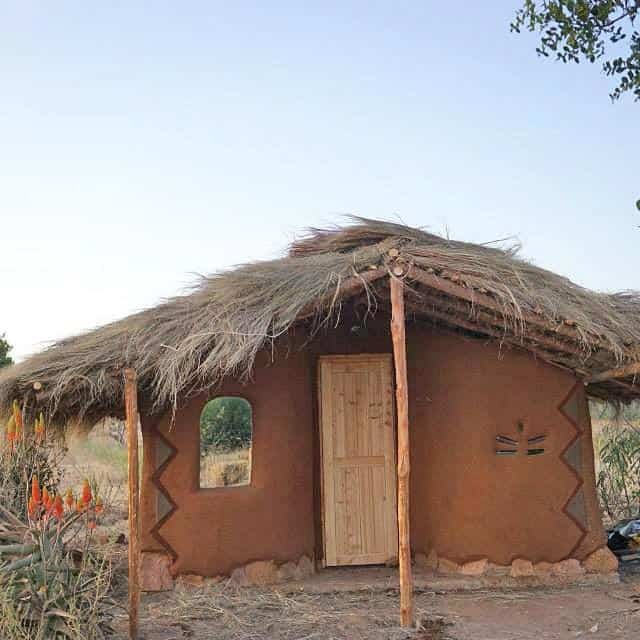 We were attempting to offer another option; sharing the belief that with a few more tools and skills, people can more fully meet their needs through earthen housing. Some people in the workshop gained a few tips here and there that they will use to subtly adapt their traditional style of building, and others were heading off to build with cob. Everyone left very inspired and enthusiastic to go home and start their own projects. It seems this is the beginning of a bigger natural building program in Kenya, which will layer in job training programs for locals and several demonstration buildings around the country. A few days after the natural building course ended, Zeya and I headed down to meet up with Warren Brush and Jesse Smith (Casitas Valley Farm) as they were beginning the Permaculture Design Consultancy Course. Each winter Warren has been traveling to Kenya to teach courses that add layers of depth and training to the previous courses. They started with a PDC, and then held a course training teachers. This year’s course focused on training permaculturists to do consultancies. The group consisted of several East Africans who had been part of several of the previous courses, as well as a wide mix of people from around the world. We started at a site outside of Nairobi where the class had three days to do a fairly in-depth design for a lodge in the middle of a wildlife preserve. The design was presented for and was well received by the stake holders, including those who own the 5,000 acres, manage the lodge, and maintain the grounds. From there we all headed north to Laikipia, to two women’s villages and the Laikipia Permaculture Center, where we continued expanding upon techniques of consultancies. The course was structured not only as theoretical learning for the students, but also to present real assistance and solutions for the communities in focus. One of the villages we visited was a place where the land has been much degraded, and the people living there have far less than enough food to eat. Thanks to the generous support of resources and time from some of the inspired students, work is already being started this week on the ground. Swales are being dug and other earthworks enacted before the rains come as first steps toward a larger land restoration plan. It’s been a truly amazing few months, and I am so grateful for the opportunity to travel and learn and share. And, I am very glad to be home, and looking forward to sharing some of what I learned through my work here at home. 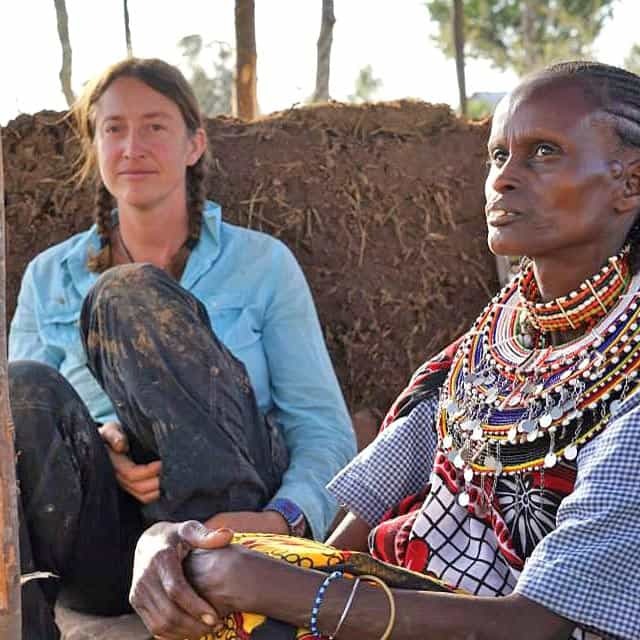 Inspired by our journeys sharing and cross pollinating natural building and permaculture in Kenya, we are preparing for an exciting series of workshops and courses at Quail Springs. I’m particularly looking forward to teaching natural building with Paul Swenson and Betty Seaman in a 7-day immersion this April. Quail Springs’ Permaculture Design Course for International Development is coming up in late May / early June, led by Warren Brush and a host of instructors and presenters active in the field. Sasha Rabin has been practicing natural building as well as teaching it since 2002, when she began her building career with an apprenticeship at the Cob Cottage Company. Since then she has taught all over the US through the organizations that she co-founded, Seven Generations Natural Builders and Vertical Clay, as well as collaborated with other schools and organizations including The Yestermorrow Design Build School, The Canelo Project, The Solar Living Institute, Quail Springs Permaculture, as well as taught at the Permaculture Research Institute in Jordan. Although she enjoys building, her true passions lie in the teaching and sharing natural building with others. Visit Sasha’s website at EarthenShelter.com to learn more.